Arthur Challinor Asbury was born at Dwight, Ontario on March 24th,1922, the youngest child of James and Annie (Newton) Asbury. He has four sisters: Janet (Purtel), Mary (Boothby), Lorraine (Willis), and Nellie (Cunnington). Art has one brother, Victor Asbury. Victor, Janet and Nellie are deceased. Art takes great pride in his ties with the province of Quebec. His maternal grandfather, Pierre Villeneuve, was born at Sherbrooke, Quebec. He came with his family to Renfrew, Ontario when he was about eighteen years of age. He later came to Dwight and changed his name to the anglicized version, Peter Newton. He married Mary Keown and together they raised their family in Dwight. Art attended the public school in Dwight, and secondary school in Huntsville. The Asbury family owned and operated the Dwight General Supply Store on the shores of Dwight Bay. It was one of Art's chores to deliver the groceries to the summer cottagers. This task was performed in a small square stern skiff, powered by a small outboard motor. When Art was taking his load of groceries out on the lake, he travelled sedately, but coming to the end of his deliveries, he realized that if he put the remaining groceries at the front of the boat, he could really start to fly. Thus the beginning of a hydroplane racer. In 1942, Art joined the Royal Canadian Air Force, and saw service with the Royal Air Force Coastal Command. While in the RAF he had his first claim to fame by giving Her Majesty, Queen Elizabeth a drink of Coke in the Royal Canadian Legion at Edinburgh, Scotland. Flying in Liberator B-24 bombers, he and his crew flew 37 operational missions engaging in action with enemy U-boats, destroyers, fighter aircraft and land-based targets. The crew were credited with several successful engagements with the enemy resulting in the decoration of their skipper. Upon returning to Canada after the end of the War, Art resumed working with his parents who had now started operating a tourist resort at Oxtongue Lake, Ontario. During this time, Art also renewed his friendship with Art Hatch of Hamilton, a long time friend and summer guest. As a consequence, the "Costa Lotta" racing team was formed. Art has been very influential in the development of the Keyhole Life Jacket, and other water safety aspects, and served on many committees in Ottawa, such as the Federal Department of Transport, Canadian Board of Steamship Governors, National Research Council, Canadian Government Specifications Board, to name a few. 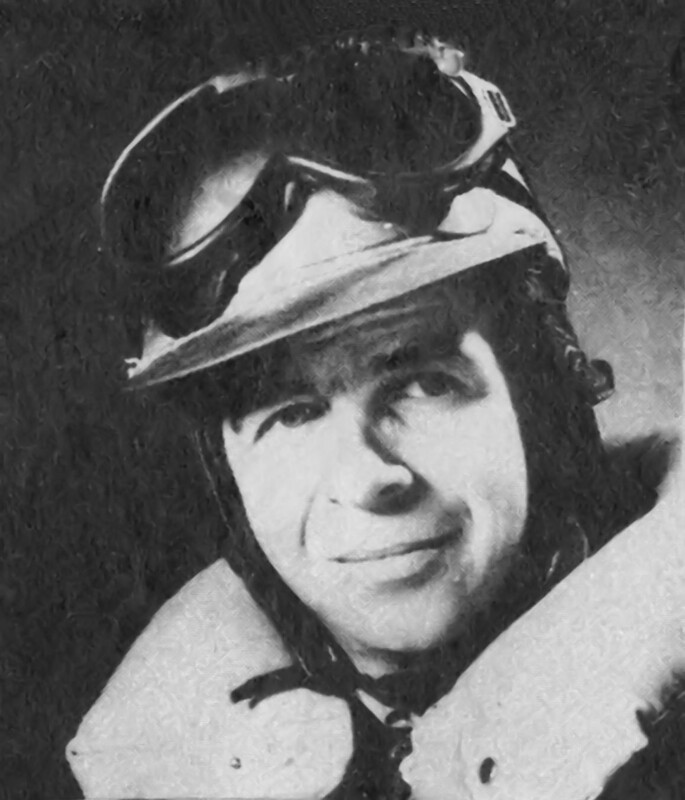 Through the following years, Art was associated with such groups of boat racing enthusiasts as William R. Hodgson, Skyline Hotels; Col. J Gordon Thompson and his son James, Supertest Petroleum Corporation; Aubert Brillant, Rimouski and Montreal, Quebec, (Quebecaire - beginning of Canadiana Racing Team): former Mayor of Huntsville and co-owner of Muskoka Construction; Jean Piquette and Peter Lerch, Montreal entrepreneurs. On November 1,1957, Art set a World Speed Record of 184.54 mph driving Miss Supertest II for the Thompsons at Long Reach, Picton, Ontario. He was awarded the World Medal of Honor from the Union of International Motorboating from Ghent, Belgium. This was what you might call "getting his feet wet" because he went on to set two more World Speed records, three Canadian speed records, and one American speed record while driving for Aubert Brillant, Rimouski, Quebec in the period of 1962 to 1965. In 1964 Art was inducted into the American Marine Racing Hall of Fame. Along with the late Bill Braden and Mayor Donald Lough, Art was instrumental in bringing the Duke of York Races to Huntsville, Ontario in 1958 and 1959. Yielding to public pressure, Art entered the race for Council Member for the municipality of Sherborne et al in Dorset, Ontario. He was successful in 1960,1966, and 1967. It was also in 1967 that he was selected to be Marina Captain, (Harbor Master) at Expo '67 in Montreal Quebec. At this time, Captain Art Asbury received the Boating Recognition Award from the Canadian Power Squadrons. This proved to be one of the most pleasurable experiences of his life. Living with his wife, Eloise, in semi-retirement in Dorset, Ontario, Art maintains an active interest in his favourite sport, as well as close association with present and past members of his crews whose valued participation in his racing career being held in high regard. He is also an avid fan of other sports such as hockey and car racing. He shares with Eloise an intense interest in the preservation of our natural resources and wildlife and also in water safety programs.